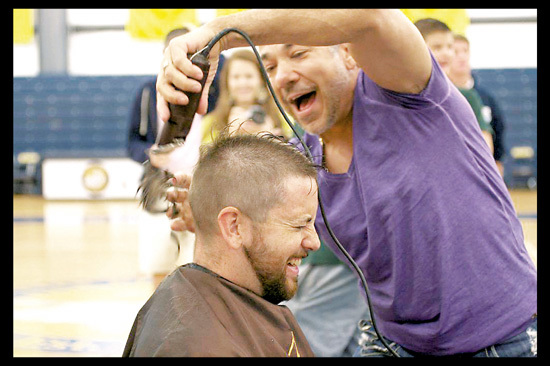 Steve Naumann of Stuart gets his head shaved by Michael Izzolo of Palm City, owner of Michael Leonard’s Salon, in support of breast cancer awareness month at The Pine School in Hobe Sound on Monday, Oct. 29. 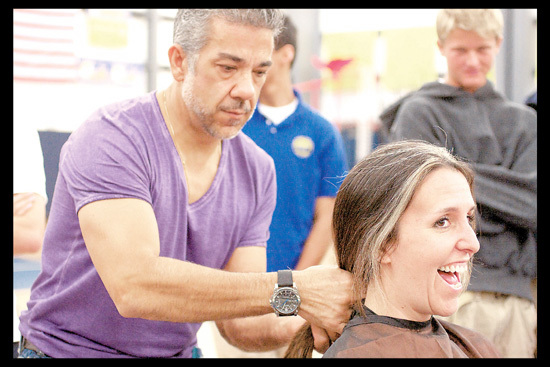 Marrisa Palazzotto, a Spanish language instructor at The Pine School prepares to have her hair cut for ‘Locks of Love’ by Michael Izzolo of Palm City, owner of Michael Leonard’s Salon. 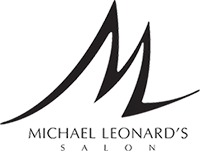 The event took place on Monday, Oct. 29.